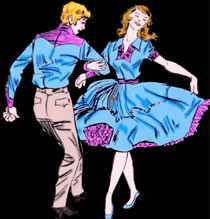 While several states have an official dance, North Carolina is among the few with two official state dances. Both dances were chosen for the entertainment value that they bring to "participants and spectators in the State." 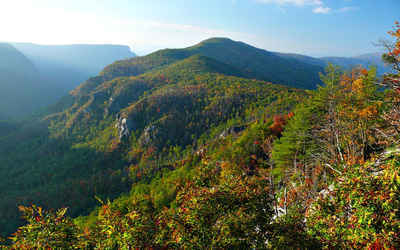 Clogging, derived from the Gaelic word meaning "time," developed during the colonial period in the Southern Appalachian Mountains. The dance draws upon European, African-American and Native American folk dance traditions. 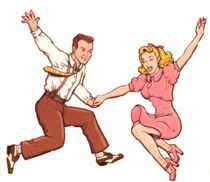 Clogging was also selected because its "distinct, dignified and beautiful footwork"can be performed in groups, by couples, or alone. In the 1920s the dance's popularity increased and became a permanent fixture in Appalachian heritage when Bascar Lumar Lunsford, host of the Mountain Dance and Folk Festival in Asheville, added a team clogging competition to the Festival. 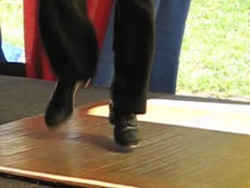 Today, North Carolina is home to numerous clogging companies and clogging festivals including the Carolina Clogging Company and the Hickory Hoedown Clogging Festival. 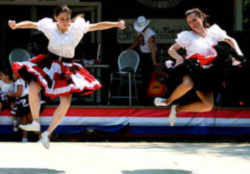 The law designating clogging as the official North Carolina state folk dance is found in the North Carolina General Statutes, Chapter 145 Section 145-24.